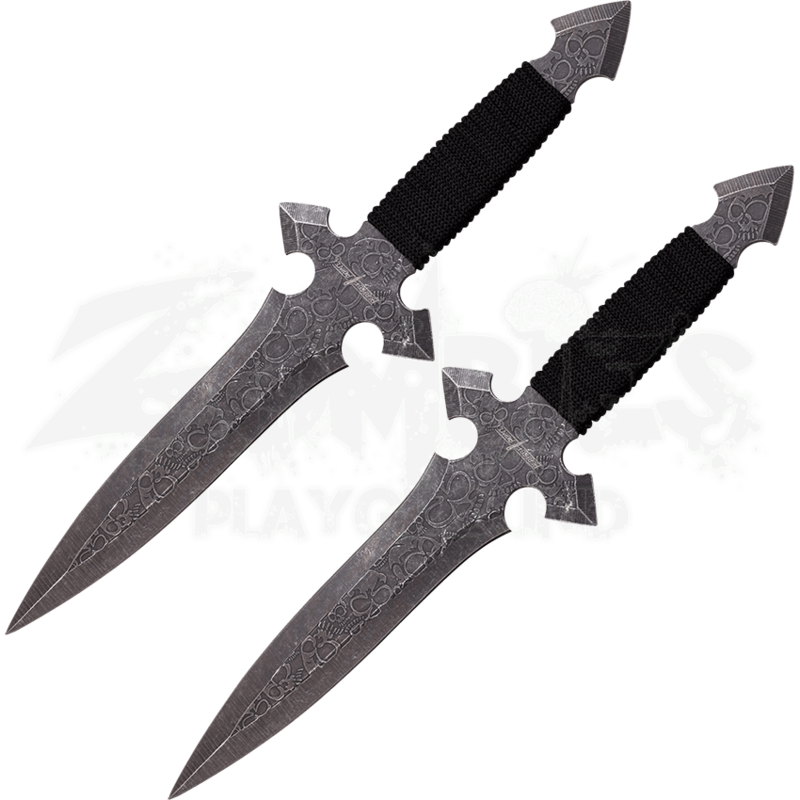 When you want to combine your love of Dark Age culture with your passion for competitive knife throwing, the Medieval Throwing Daggers Two Piece Set will help you do just that, featuring a unique design and a classic cruciform shape. 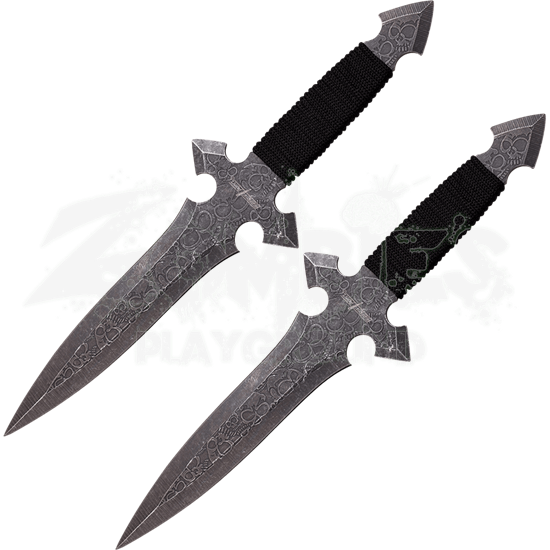 Crafted from durable stainless steel, these throwing daggers are strong and long lasting. The aged look of the knife is created through an oxidized stone wash, while an acid electroplated skull design decorates the blade. Black cord wrapped around the handles provides a strong grip for a precise release. Included with a protective nylon sheath that holds both knives, the Medieval Throwing Daggers Two Piece Set will add a Gothic touch to your competition arsenal.